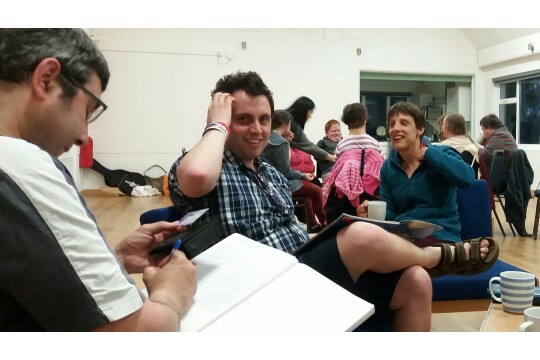 Our aim is for people with learning disabilities to love life! We long for all to know they are valued, to discover their gifts and to have opportunities to use them. We offer daytime activities and drop in days for parents at Southside Youth Centre and days for adults at the Old Acorn Barn in Englishcombe. We also offer various social activities, two fellowship groups and retreat days for parent carers. Homes for life are part of our plans for the future. Recent budget cuts mean there is a lack of opportunities for people with learning disabilities, leaving many unoccupied and vulnerable. We offer meaningful daytime opportunities through our project at the Old Acorn Barn. Individuals can maintain and develop skills for other areas of life. At the same time carers are given valuable respite and we aim to find ways to enrich the wider community. Our wonderful volunteers are also given opportunities to exercise their talents. We are always thrilled to hear from people who would like to help us.